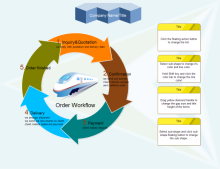 A Workflow Diagram, or workflow chart is an effective, easy-to-understand tool that helps people who share a common goal to understand business processes, management and human resources tasks. A well-designed diagram clearly illustrates the flow of tasks and the actions required to complete a job. It identifies the critical stages within a process, locates problem areas and shows the relationship between steps in the process. Why workflow diagram is important? 1. It acts as an instruction manual for the whole project. 2. It can analyze the entire process and define problem areas and bottlenecks. 3. It helps to understand your own responsibilities and the role of other employees. 4. It helps to identify critical stages and improve communication as it shows relationships between different stages in a process. How to Create a Workflow Diagram? In Edraw, the Workflow Diagram Template helps you easily create workflow diagrams using massive built-in symbols. Double click the template from Flowchart Category on the starting page to enter the drawing page. You will discover abundant symbols and easy-to-use tools available for workflow diagrams. Edraw includes lots of workflow diagram symbols created to meet different drawing requirements. 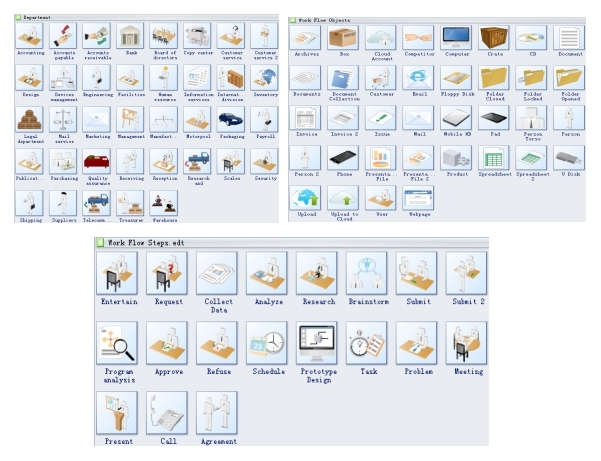 In Edraw library, all workflow symbols are classified into groups as workflow objects and workflow steps, department, etc., which you can easily use to depict archives, box, cloud account, competitor, crate, entertain, request, meeting, etc. Go to Workflow Shapes and Their Usage page to have a general knowledge about the symbols. 1. 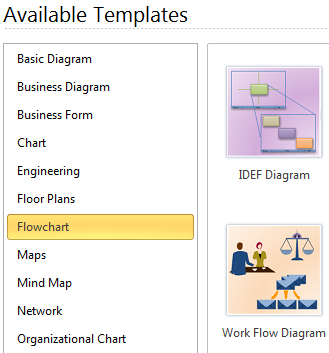 On the File menu, point to New, point to Flowchart and double click workflow diagram template. A new drawing page will open. 2. Go to the library pane on the left of the canvas. From Workflow Objects / Steps, drag suitable shapes onto the canvas. 3. Use arrow shapes to connect the objects and steps. Print: When the workflow diagram is done, it's easy to print and share with more people. On the file menu, point to Print to set for print options. You can change settings with fewer clicks and see the print preview in real time.